Listen to the everlasting omkhara nadham in the conch ! The human beings regard the oysters, sea-shells and conches that take shelter in the sea shores as useless, inert and lifeless refuse of the sea. In fact they are wonderful storehouses of the divine treasure called omkhara, the primordial energy that sustains all the living and non-living beings in the entire cosmos. Since omkhara is the basic energy of the living beings it is contraolled and guided in the divine form of a conch in the human bodies. To reveal the importance of the role of the conches, Lord Vishnu holds the chanku (conch) and chakra in His arms and blesses His devotees. The divinity of the conches ranges from the highest order that belong to Panchajanya of Sri Vishnu, well manifested in the avatara of Lord Krishna down to the ordinary conches and oysters that are strewn all over the beaches aroud the earth. To understand the divinity of the conches, we should delive deep into the secrets that surround the creation of the conches. Vibuthi (holy ash), lemon and water receive the spiritual mantras and energy very easily in the order specified. Conches take birth in the sea beds and during their entire life they continue to chant the divine mantra omkhara ceaselessly. All their positive merits earned by chanting the holy omkhara surrounded by the great mass of millions of tons of sea water is transferred to their hard shells when their souls depart from the body. Only when an oyster or conch being dies naturally, it will transfer the positive merits to the shell. If anybody kills the oysters and conches, that is construed as an accident and the untimely end to the respective bodies will not make the conch a holy one. Such shells will emanate only the pains and anguish suffered by the divine souls and will deliver only curses to those who spoils the conches and oysters and to those who become the owners of such shells and conches. The 1001st Pontiff of Thiru Kailaya Pothiamuni Paramparai Sri Venkatarama Swamigal has been serving the bereaved humanity for millions of years reigning from the Guru Mangala Gandharva Lokha. In His present sojourn to the earth Sri Venkatarama Swamigal has dedicated a rare conch called Divine Message revealing conch. This conch is a yogic representation of Swamigal’s vak tatva developed by Him in krutha yoga and maintained by the tongue twisting siddha mudra through these millions of years dwelling deep in the sacred sea beds unknown to the present humanity. How to become an expert in arguments? To become an expert in an argument and to convince the listeners by quoting suitable references and logical placement of the truth is the gift everybody seeks after. In the olden days spiritual arguments held in the courts of Kings and Emperors. Participants who performed poojas to this divine message revealing conch in the manner advocated by their Satgurus could easily attain victory in those arguments and debates. At present Lawyers, Attorneys and Legal Counsellers involve in arguments to find out the truth of the crimial and civil cases in the court of laws. During arguments these Civil, Criminal lawyers, Sales Tax, Incometax Lawyers, Auditors have to quote correct code numbers, section numbers and even sub-section, article numbers of the relevant laws, previous judgements, etc. to prove their arguments. If such lawyers attend Courts after performing poojas in the due manner of this divine conch, the relevant sections and case laws would jump to their minds effortlessly and their argument will become logical and powerful to arrive at the truth easily. Those who want to become powerful speakers in the public arena can also perform pooja with this divine message revealing conch and win laurels easily from public when they participate in the State Assemblies or Parliament. Before participating in public conferences, technical conferences, stage speech, paper presentation, viva voce for Phd.D., M.Phil. thesis presentation, IAS, IPS, foreign postings, etc. performing regular pooja for this divine message revealing conch will shower success easily on the candidate. Place this Divine Message Revealing Conch on a darpa (kusa grass) mat of size 6 inches long and 6 inches wide. If the ends are sewn with cloth it is good. Sri Raja Madhangi is the residing deity of this conch. Please meditate on her as if She is your loving mother and place Her who is in the form of conch on the mat with love and affection. Offer sweet scented natural flowers to her. Please avoid December flowers, kanagambaram, plastic or artifical flowers of any kind. Please chant the following stotra minimum 1008 times and offer fragrant flowers to the conch. Namasthasyai namasthasyai namasthasyai namo namaha. 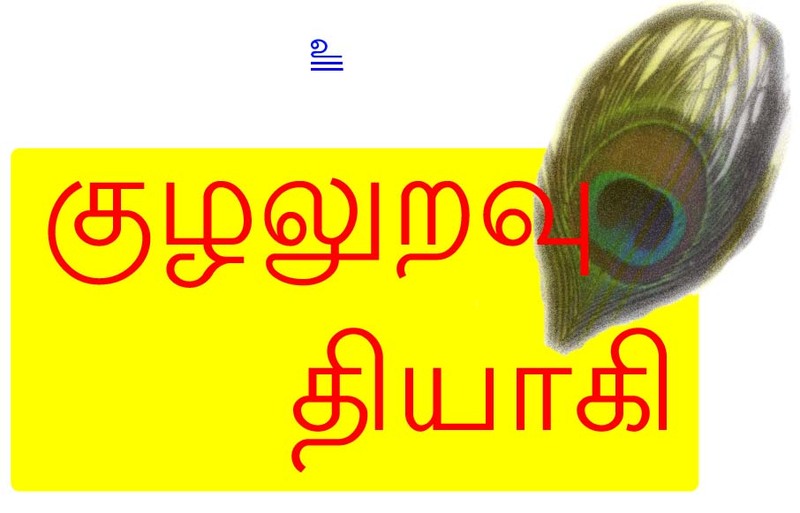 (It is better to listen to this stotra at least thrice in Tamil or Sanskrit language to know the correct pronunciation). After nama archana, please sit in any comfortable postures like sukhasana, ardha padmasana or padmasana preferably on a darpa mat, place the conch on your right ear, close your eyes and silently chant the mantra. Try to listen to the divine message that emanates from the divine conch for some time. Then repeat the same process on the left ear also. Most of your doubts will be cleared through the eternal omkara that emanates from the divine conch. The more you listen to this divine sound the more you will become alert to the divinity that guides your path. After the pooja, place the conch on the darpa mat. By continuing the abovesaid pooja of the conch, you will receive the blessings of Sri Raja Madhangi Devi and your path will be lighted with Her divine guidance. Fame and reputation will shower on you ceasslessly for ever. Apart from the above divine conch you will get hundreds of other divine conches to flourish your spiritual path from our service units. These services units deliver only those conches, oysters and sea shells that were collected after due pooja to the departed souls that shed their sea life naturally and peacefully.